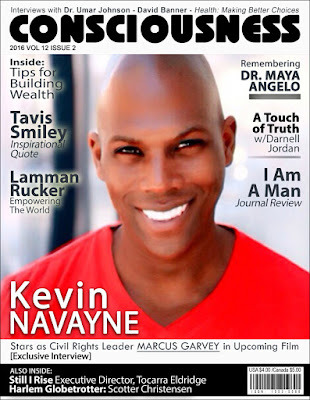 Kevin Navayne, a native of Spanish Town, Jamaica, will play the role of the civil rights leader Marcus Garvey in the new film Marcus Garvey. The upcoming film will focus on the rise and fall of Garvey. Navayne began his career in the fashion world where he modeled for La Coste, Sean John, Roc a Wear, Avirex and Nautica, just to name a few. He eventually made a transition into acting, appearing in some of the biggest television shows such as Law & Order SVU, One Life to Live, CSI: NY, Cult and Transport, in conjunction, has landed leading roles in several upcoming films. Aaron Robinson: You are playing the role of the legendary civil rights leader Marcus Garvey in the film Marcus Garvey. What was that experience like for you? Kevin Navayne: First of all, I’m Jamaican, having the opportunity to play a Jamaican civil rights hero – that in itself was amazing! Being able to just experience and really try to relive what he went through and what he tried to start, and what he actually did start is exciting within itself. It’s something that I am not sure I will be able to experience again in my career. I’m extremely proud to play this character. Aaron: Did you learn anything new, exciting or interesting that you may have not already known about Garvey? Kevin: That he and his sister were the only survivors…I didn’t realize that he had a lot of siblings, but none of them really made it. During research, what really intrigued me was that he actually had a relationship, in terms of a partnership with the head of the KKK (Ku Klux Klan) back in the early 1918’s and early 20’s. He spoke at 10 KKK retreats. At the end of the day they both had the same idea in terms of African Americans returning back to Africa. I think that’s where they both found common ground – learning that aspect was extremely interesting. Aaron: So we know just as Marcus Garvey, you are a native of Jamaica. Outside of filming, were there any moments where you had any life transformations or influences in regards to being self-empowered, enlightened or motivated by his character? Kevin: I think going back home to Jamaica and realizing how much this film means to me, the people of my homeland, the people of Jamaica, in addition to the people of London and Africa. I never thought Marcus Garvey was as powerful and as big as he was. [Me] born Jamaican, I grew up in the states, and it's more you hear about Martin Luther King and a lot of other African American civil rights heroes, but you didn’t hear too much about Marcus Garvey. So, going back and doing the research and finding out that Garvey is seemingly not as big as Martin Luther King in the states, but he really is because Marcus Garvey made a name for himself in the states. I think that was definitely the most enlightening thing. I didn’t realize how powerful and how much he meant to so many people. Aaron: The film is in pre-production. How is it coming along? Kevin: We’re just getting everyone together right now, just talking and sharing stories with the families, sharing stories about Marcus Garvey and what he meant to people, African Americans specifically. I think everyone is on the same page; we want to make sure that the film portrays Marcus, not only in a positive way, but also tell the truth about Marcus Garvey and what he stood for, what he really believed in, how he was really trying to empower the African American people. I think that is probably the most outstanding thing that I’m able to take away from the set thus far. Aaron: You are also a professional model. When did you realize that acting was something that you wanted to pursue? Kevin: Actually, when I got big headed modeling. (Laugh) You couldn’t tell me anything. So, I really stopped the modeling world and set up auditions with acting. If I had a commercial, I would show up maybe an hour or two late. I kinda had a big head. My booking agency finally kinda realized… “You know what; maybe you should transition into acting, because you’re starting not to book as many jobs.” So, that’s the truth. I realized that timing is extremely important, and that I should pay attention to other people’s time, not just my time. Aaron: Over the course of your career you directed and produced several films. What do you feel is the most challenging or rewarding, acting or directing/producing? Kevin: Directing and producing is the most challenging, and also the most rewarding. When you’re an actor, it’s hard work. You have to know your lines and you have to portray the character. When you’re directing, you have to pay attention to everything - producing as well. I think that is challenging because you want to make sure everything is right, not just making sure the actors know their lines, but you have to also make sure the lighting is correct, the set is correct, everyone and everything in the background is perfect so that the scene can be perfect. The challenge is ensuring that everyone is doing what they are supposed to be doing at the exact time that you need it to be done. At the same time it’s also one of the most rewarding. I credit actors, but directors and producers definitely have their hands full. Aaron: Do you have any upcoming projects that you would like to talk about? Kevin: I have two other films that I’m really proud of. One is called The Onyx of Wall Street. It’s a real interesting story. It’s a coming of age story about this young African American guy out of Harlem and he makes it on Wall Street. We start filming that in a few months. The other film is called American Warlord. This is based on a true story. It’s about the son of Charles Taylor - he and his father were war criminals in Africa. They would kill people, take diamonds and everybody’s money; they end up becoming rebels. 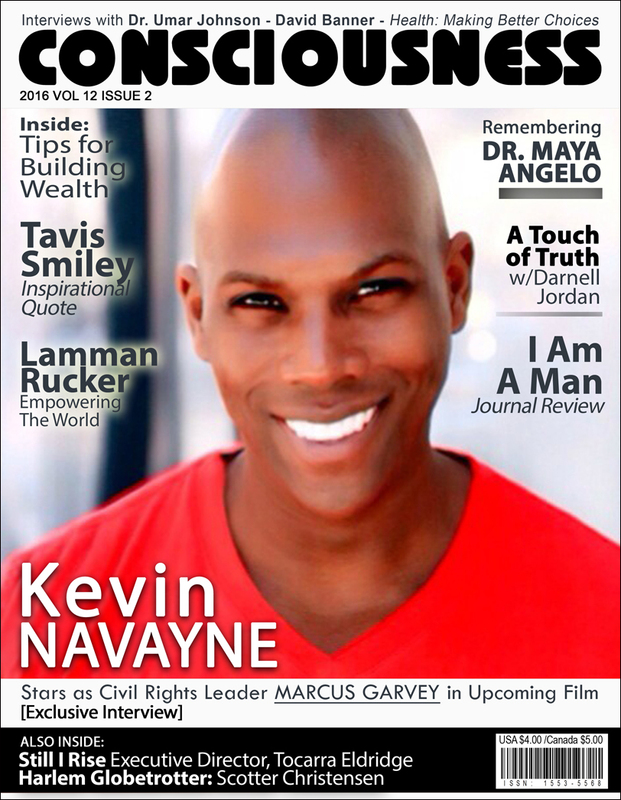 Aaron: As a successful model, actor, director, producer, and speaker, what’s next for Kevin Navayne? Kevin: To keep on doing what I’m doing. I think the next big move for me is that I want to start my own production company and develop films under that umbrella. In the meantime, I just want to continue to be a working actor and a working director/producer. Aaron: What advice or words-of-encouragement would you share with aspiring actors and actresses who are looking to be successful in the film industry? Kevin: Don’t give up. There is going to be a lot of adversity. It’s going to be hard work. It’s going to be times when you audition for 30 things and don’t get one of them, but never give up. There is the case of that person who is going to audition for that very first time and gets the role of a lifetime. Keep on doing what you are doing. Pursue your craft in getting better at it, and you will eventually get there. Kevin: Thank you for your time. I really appreciate it.